The Rites of Passage Festival is returning to Sydney! – Spotlight Report "The Best Entertainment Website in Oz"
The Rites of Passage Festival will return to Sydney at the Royal Hall of Industries from Friday 27th – Sunday 29th October for a massive weekend of tattoos, live art, food trucks and entertainment. Proudly presented by Australian Tattoo Events, this years’ Festival is set to be even bigger and better than before. The 2017 line-up will feature over 250 artists from across Australia, as well as international artists traveling from New Zealand, Japan, Indonesia, Korea and America to take part in the Festival. Celebrated feature artists joining us at the Festival include Dan Molloy, Bumer, Ben Kaye and Sydney’s very own Chris Showstoppr. 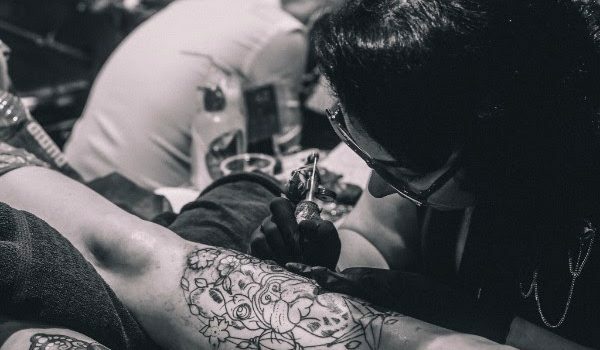 Visitors will have the chance to research the latest trends, get inked on the spot and shop from retailers selling everything from tattoo supplies to the latest in street wear and alternative fashions. Or why not place a bid on one of the unique skate decks created by some of our talented artists, with all proceeds raised from the auction going to the Australian Childhood Foundation. The Miss Rites of Passage competition will see the lovely ladies of NSW compete for the ultimate Miss Rites of Passage title. The tattoo competitions will take place each evening, including the fourth round of the 2017 Australian Tattoo Series, the first competition of it’s kind in Australia. Artists competing in certain categories will battle it out for points to come out on top, with the overall winner to be announced at the Australian Tattoo Expo in Melbourne this December and score $10,000, a years’ sponsorship from Eternal Ink and a feature in Inked Magazine. The stakes are high and the competition is heating up! Early bird and multi-day tickets only available online.